NLP is currently unregulated but there are a number of organisations that are promoting practicing to high standards and ethics within the industry and as such have set their own standards by which trainings and students can be assessed. They also provide recommended course contents for specific certification levels. Below is an overview of a number of key organisations recognised in the UK and abroad. Please see the individual website for more details. IE certifies through the ABNLP and is a member of the ANLP. The Associate Level is offered to those who do not yet have a Certification from a recognized NLP institute but would like to keep abreast of the latest information and training. Minimum of 120 hours of training in the basics of NLP patterns taught by a Certified Trainer, or a certified Master Practitioner under the supervision of a trainer. There is no requirement at this level for in-person attendance at a training. Minimum of 120 hours of training in the basics of NLP patterns taught by a Certified Trainer, or a certified Master Practitioner under the supervision of a trainer. Minimum of 120 hours of advanced training taught by a certified trainer. A minimum of 15 hours of direct trainer supervision. Minimum of 120 hours of advanced training taught by a certified Master Trainer. A minimum of 15 hours of direct trainer supervision. A Minimum of 3 years as lead trainer in Practitioner and Master Practitioner Trainings taught by certified Trainer. A minimum of 60 hours of direct trainer supervision by a Master Trainer. Must be signed by an ABNLP Trainer. Practitioner and Master practitioner membership: $105. Trainers membership $325. Plus $20 overseas admin fee. Above due annually. Also available monthly. 130 hours tuition over a period of a minimum 15 days (recommend 18) formal classroom training. 130 hours tuition over a minimum period of 15 days formal Classroom training. Minimum of 150 hours tuition over a period of a minimum of 19 days. The candidate has attended and successfully completed an INLPTA Master Trainer’s Training as authorised by the INLPTA Board of Directors. The candidate has successfully met the INLPTA competency requirements for an NLP Master Trainer, as assessed by the INLPTA Board of Directors. Must be signed by an INLPTA Registered Trainer and carry the INLPTA seal for pre Trainer levels. For a Certified NLP Trainer or Master Trainer who has not attended an INLPTA Training, but wishes to subscribe to the ethics, quality standards and curriculum of INLPTA, £75.00. For Certified NLP Trainer or Master Trainer who has attended an INLPTA Trainer or Master Trainer Training, and successfully passed the Evaluation and Certification, £130.00. 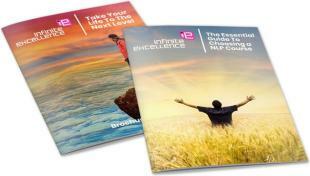 Need help choosing the right NLP course for you? Download our Fantastic FREE e-doc ‘The Essential Guide To Choosing A NLP Course’. I have had a real fear of crossing the road since I was hit by a car when I was a teenager. I had one session with Colette and now the fear is gone! "Got a spring in my step - new website https://t.co/V6jVa5GbTk now gone live - hope you like it ! #nlp #nlpcoaching #lifecoach #hypnosis"